Shop Local. 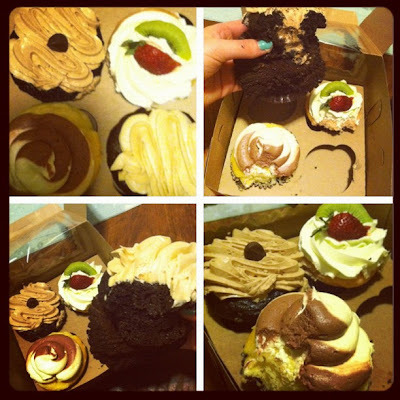 Sugar Mountain Bake Shoppe. Just go. Corner of Park & Alexander. (Right down the street, conveniently for moi.) Alongside La-Tea-Da! Tea Room & Parlour. (Post coming soon.) And in Brighton. And you get this Frequent Buyer cute lil’ stampy card where, once you buy 12, you get 1 free. … Baker’s Dozen accumulating very soon. Even before they blew-up: bakeries in New York, Food Network’s Cupcake Wars, cupcakes were always plentiful. Tupperware stacked with alternating yellow & chocolate for lil’ Sammy’s birthday. (Who’s Sammy? I don’t know.) But not always great. Well lately, I’ve found the scrumtrulescent (ahh – best I could find) winners. Trader Joe’s. See Here. Dollop. Blog didn’t yet exist. But that’s some good ish, & I like her blog. Follow Here. 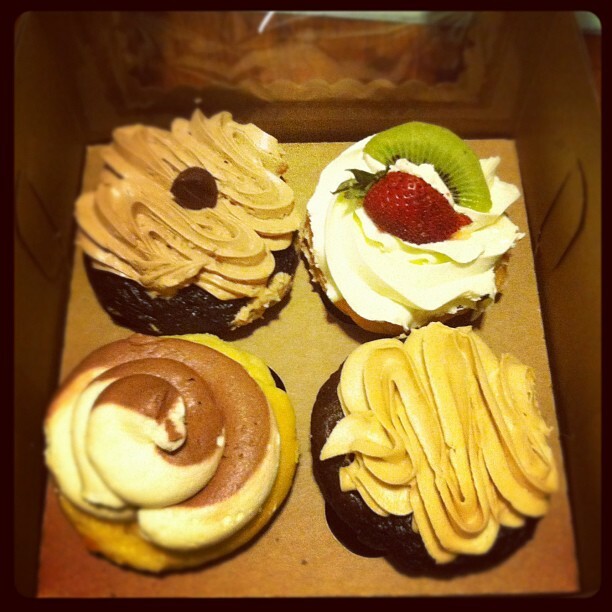 But, I will say it, Sugar Mountain cupcakes from Sugar Mountain Bake Shoppe are hands down my favorite. Not just because I can walk there right now, few blocks down from where I eat, live, & sleep. But because—while I j’adore the frosting they make & could just take a tub of it, go to town–they are the only bakery in all of the world of bakeries of tried (a good many few) where I like the cupcake best. I like the cake part of the cup the best! Oh those fluffy insides. Thin layer of crystallized crackle to the out. Airy and moist. Makes me feel like a Ballerina in Candy Land while getting a manicure in my mouth & riding the Sugar Mountain Express. (See what I did there?) Like Care Bares floating on clouds while eating cotton-candy flavored chardonnay cake. I just can’t explain it. I took bites from all & ate almost all…. Yeah. « Essay. Why I Write.